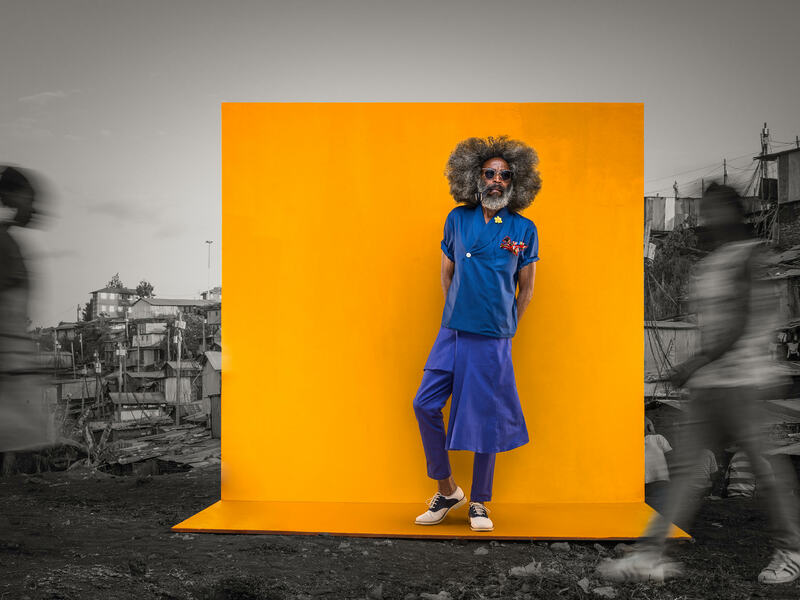 Osborne Macharia, an award winning Afrofuturist photographer and artist conveying important messages such as inclusion, gender abuse, care for the elderly, and more. As a photographer Osborne has worked with international brands including Marvel’s Black Panther, Disney, Oprah Winfrey Network, MTV, Volkswagen, Forbes, Guinness and Mercedes. Nairobi-based “Blinky” Bill Sellanga is a singer-songwriter, beat maker, producer, and one fourth of Kenyan art and music collective, Just a Band. He is an alumnus of The Red Bull Music Academy, One Beat Music and a TED Fellow.